This is one of my favorite interior graphic projects. 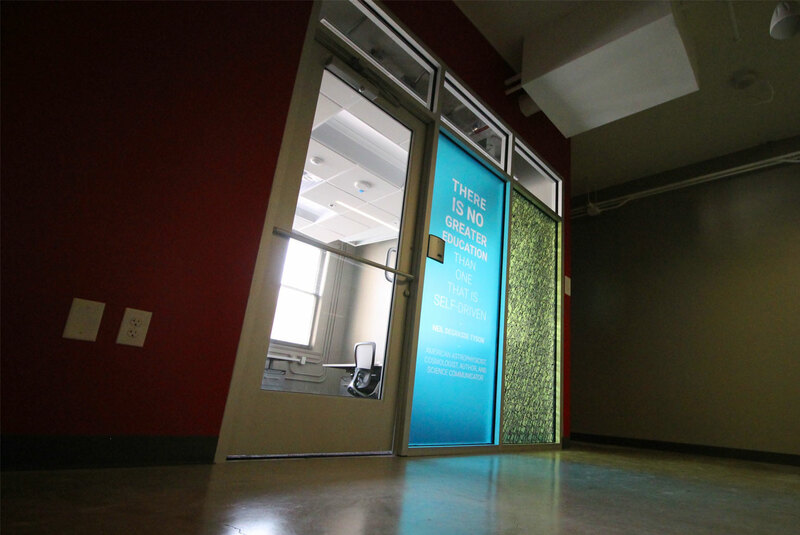 The space is designed for The Open Cloud Academy by Rackspace. The thing that sets this project apart from the others is that the graphics were all generated by code. Im not just talking about them being made by Photoshop or Illustrator, Im talking about the patterns in all the art were developed by programming code! The code was written by Alka Cappellazzo. Tricia from TMac Design(creative direction) came across her artwork on a blog and decided to use her scripts to generate the patterns you see throughout the space.